Not enough time or prefer to read? No problem!  It’s incredibly quick and easy to add a new url to monitor. 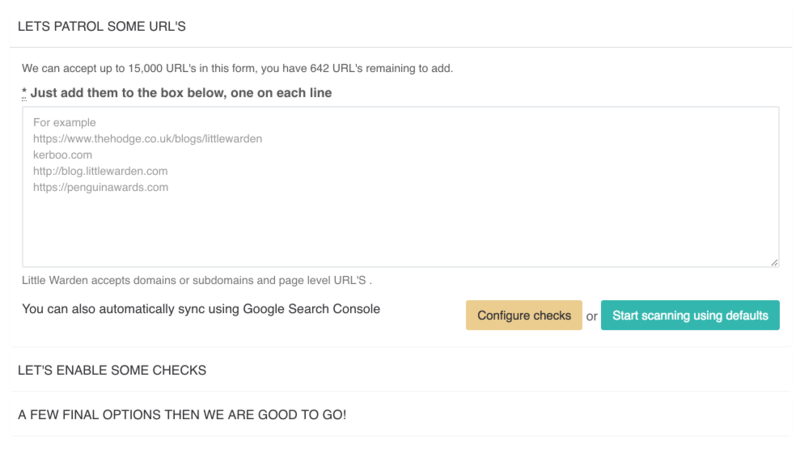 You can either copy and paste the addresses into Little Warden or you can automatically sync new URLs using Google Search Console. When pasting, just separate each one on a new line, or with a comma, and if you forget the http://, we’ll even sort that for you. With over 30 checks available, you can pick and choose what you'd like to see monitored simply by switching a switch. 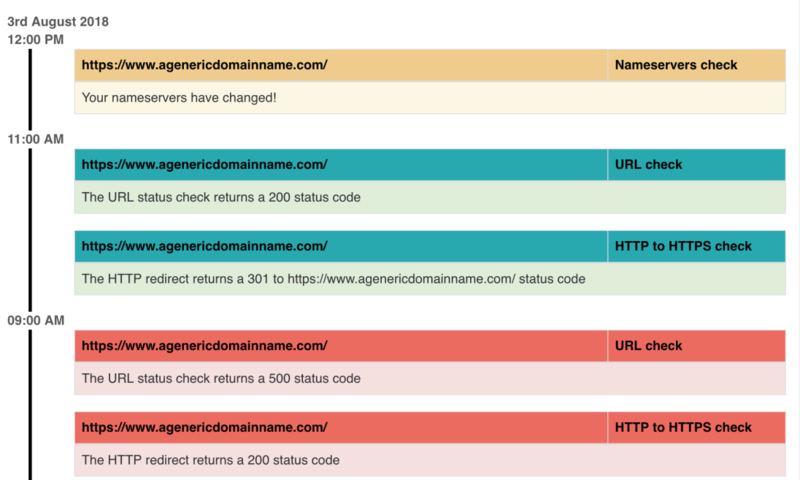 URLs can be grouped by domain so checks can be modified on mass. 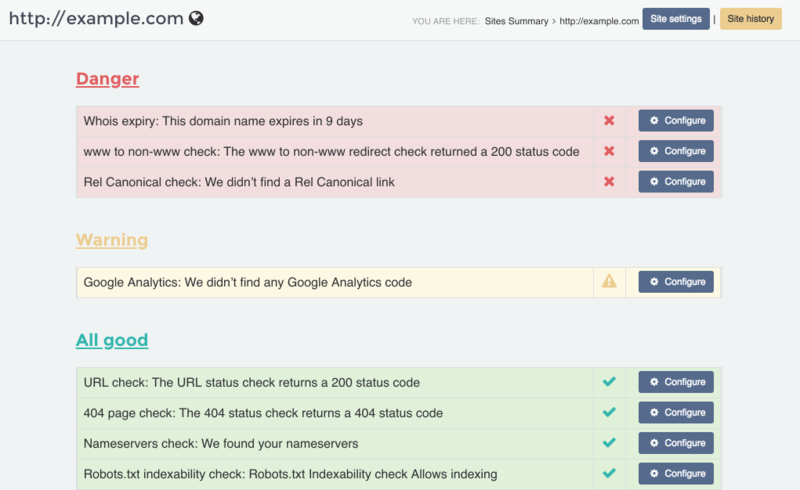 With lots of URLs to monitor, you need to see issues quickly and easily. 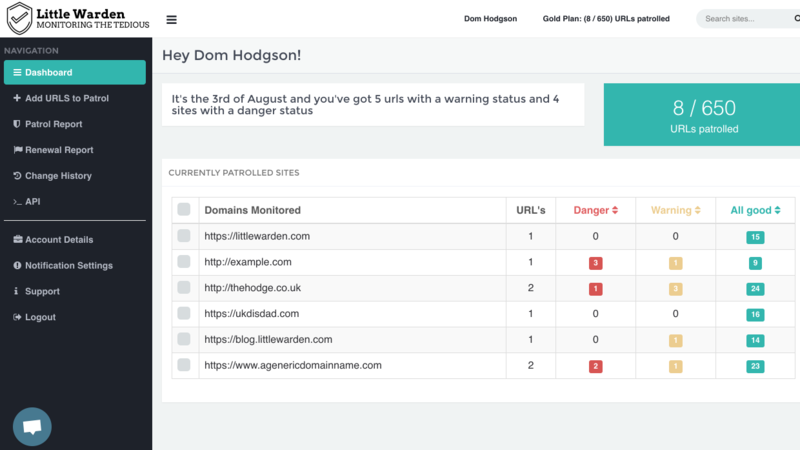 So we give you an overview page per site to highlight anything we find, colour-coded in Red, Amber and Green to help you prioritise. Disagree with any of our best practice defaults, have a special case, or actually want to keep a website broken? Then you can quickly and easily override the default setting with Custom Configuration. And you’ll be alerted if there’s any change to the override you have chosen. View an up to the minute auditable log of all the changes we've seen on your URLs. This log can be emailed to you every week, day or hour. 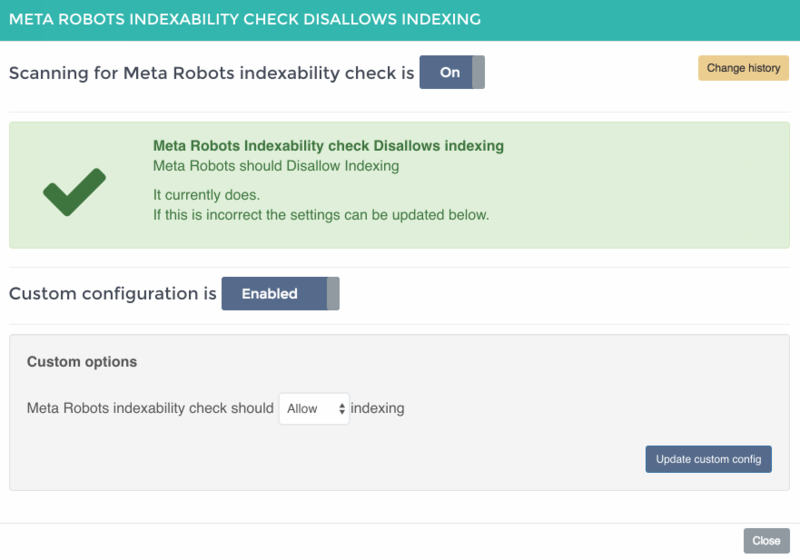 Changes can also be sent via WebHook, Slack or Zapier integration. 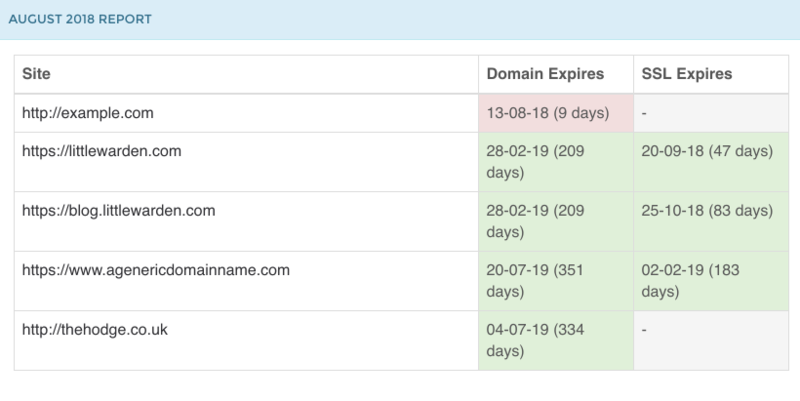 Our monthly Renewal Report will give you an overview of all upcoming domain renewals and SSL Certificate renewals coming up. Which means you can get a head start on reminding clients, checking your update procedure and setting up/checking your all-important invoices to make sure you’re not paying for renewals no longer needed or getting paid late!